Want to make math fun during your child's first years of learning? 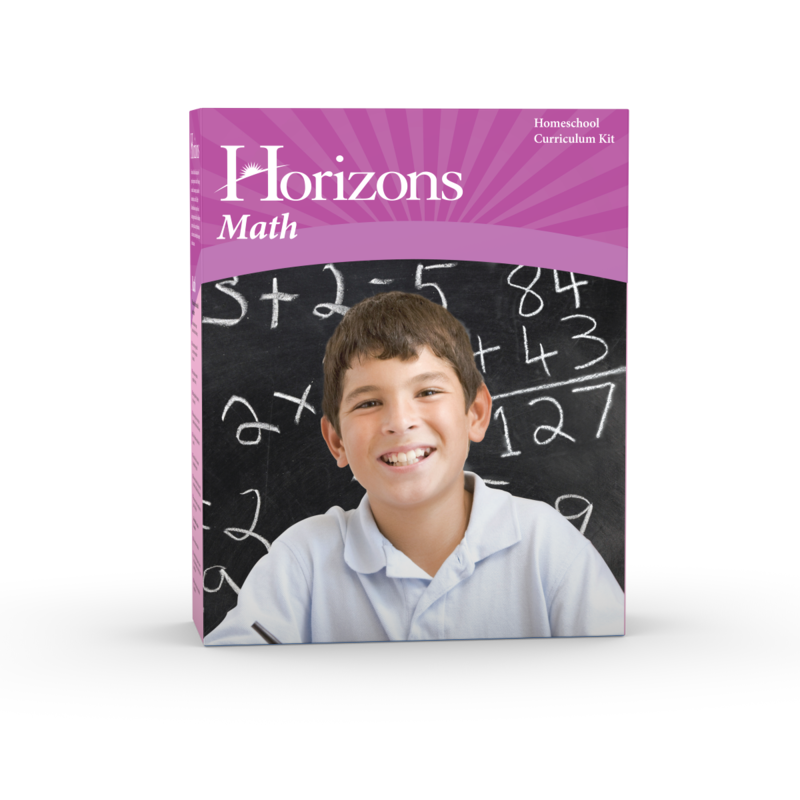 With the Horizons Kindergarten Math Set from Alpha Omega Publications, you'll find everything you need. Children love learning through analytical reasoning, memorization, and drills in this best-selling Christian school math curriculum. Each engaging lesson begins with a new math concept or an expansion on a previously covered concept to ensure your child's educational success. Brightly-colored illustrations in this Alpha Omega curriculum help your child understand basic math skills such as counting, adding, and subtracting single digit numbers; money values; time and days of the week; direction and positions; simple fractions; and more!